Everyone likes to get two for the price of one, so for a limited time, we're offering Amazing Adventures - The Lost Tomb and Amazing Adventures - Around the World together for one low price! It's the iWin Double Play! Welcome to Egypt! A piece of an ancient map was discovered and is believed to reveal the location of the Lost Tomb of Egypt. Under the direction of the Museum, you must immediately begin your adventure to locate the Lost Tomb and the treasures locked within! Complete over 100 levels by finding hidden objects and solving unique puzzle traps. Good luck on your adventure! Take on 20 missions traveling to amazing Egyptian locations like the Sphinx, the Great Pyramid of Giza, the River Nile, Thrones, Tombs, Cairo, and many more. 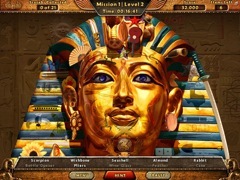 Find over 2000 hidden objects in 2 unique game modes: Find the Lost Tomb and Secret Game mode which is unlocked only after you have located the Lost Tomb or have found all the hidden Scarabs which have been left behind in each location. Play 7 different types of mini-games including spot-the-differences. Explore Egypt today! 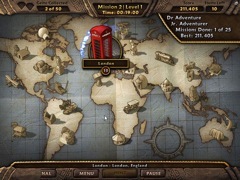 Amazing Adventures - Around the World begins as pieces of an ancient stone tablet start turning up around the globe and the Museum needs your help to locate the pieces and find the most expensive gem ever known...the World Diamond. Under the direction of the Museum, you must immediately begin your global seek & find adventure. 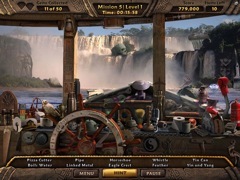 Complete over 100 levels by finding hidden objects and circumventing unique puzzle traps. Your amazing adventure takes you to 25 unique & exotic locations around the world while finding over 2100 hidden objects in 3 different game modes: Find the World Diamond story mode, plus two Unlimited Play game modes which are unlocked after you have found the World Diamond or have found all of the hidden gems in each location. Good luck on your Amazing Adventure Around the World!